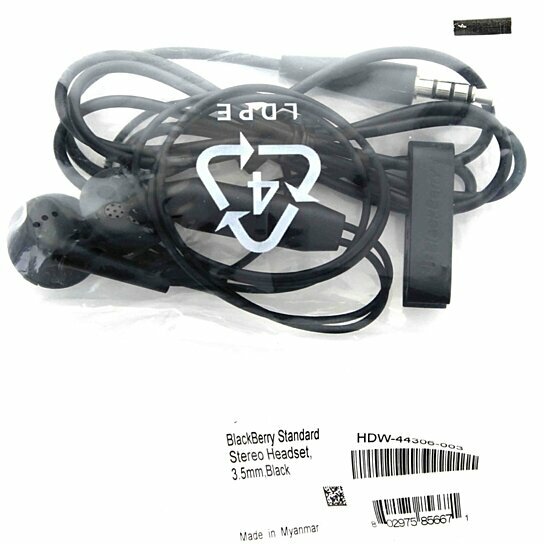 Talk on the phone, watch video clips, play games or listen to songs with a stereo headset optimized for your BlackBerry smartphone. Lightweight and comfortable, the BlackBerry Stereo Headset is designed to cut out wind and background noise to ensure great sound quality when you're on the go. The headset features an easy-to-use control button, so you can answer, end or mute phone calls and pause or play music, all with a single touch. Product is brand new.